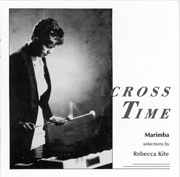 Rebecca Kite is one of the most important percussionists of her generation and is the only woman of her generation who is recognized and honored internationally for her contributions to the percussion and marimba community. 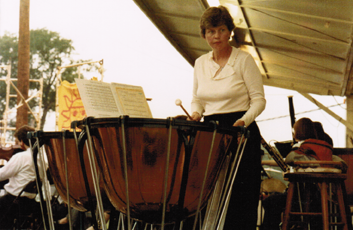 Over the long arc of Kite’s career, she developed strong threads for aspects of being a musician and excelled in all areas: performance, teaching, writing, instrument design, and service to the percussion community. She has woven these threads together into the cloth of a substantial career, making important contributions to our field with each one. The UMKC Conservatory of Music was my choice for college – with a large and excellent percussion program headed up by Charmaine Asher-Wiley. 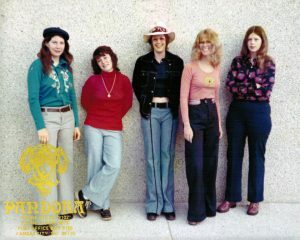 After graduating, four of my conservatory friends and I and started a band, rehearsed, hired a booking agent and starting working. I made a living playing drums in PANDORA many week nights and every weekend. After two years I decided to focus on timpani and classical music. A full graduate assistantship at the IU School of Music in Bloomington made it possible for me to study with George Gaber and become an excellent timpanist. 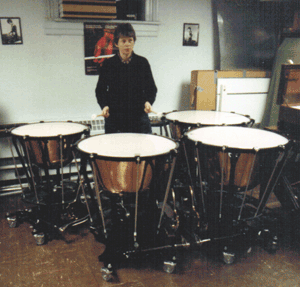 After grad school, I was timpanist of the National Symphony of Nicaragua and the Owensboro,KY and Evansville, IN Orchestras, then settled in central Indiana where I played in the Indianapolis Chamber Orchestra and came up with a crazy dream – build timpani that worked better and sounded better! 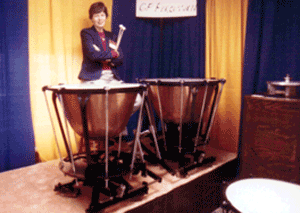 With many ideas about how timpani design could be improved, from being easier to move the pedal to high pitches to a new mechanism to pull the head down evenly through it’s entire pitch range, I started a new company, GP Percussion Timpani Manufacturers, with my business partner, Barbara Allen. My design work resulted in four US Patents and many improvements. We learned to hand craft timpani bowls from Robert Picking’s artisans in Buycyrus, Ohio and worked with an artist to create sand castings for the frame and with machinists in central Indiana for parts, painting, plating and casting machining. Cloyd Duff’s feedback on my design work was especially helpful. 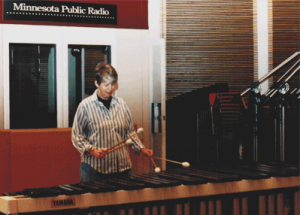 When the Yamaha five octave marimba was introduced to the world in 1984, I was captivated by it’s beautiful sound and purchased one (I was the first person in the USA to own a five octave marimba). This began my adventure to master this beautiful instrument. In the following years I was recognized by the Indiana Arts Commission for my work developing the musicality of the marimba and connecting it to the public with a Fellowship in 1988 and then a Master Fellowship in 1992. In 1993, I made the first commercial marimba recording of the famous Chaconne in d minor by JS Bach on my debut CD, Across Time. In 1996 I released my second CD, Prism, to give student marimbists an example of tone quality and musical expressiveness to strive for. This CD became a bit hit and sold more than 2,000 copies in its first ten years and selections have been downloaded and streamed globally, more than 10,000 times. I was working full time as a free-lance percussionist, and like so many of us, teaching, writing learning materials for my students – which then became books – and gigging. 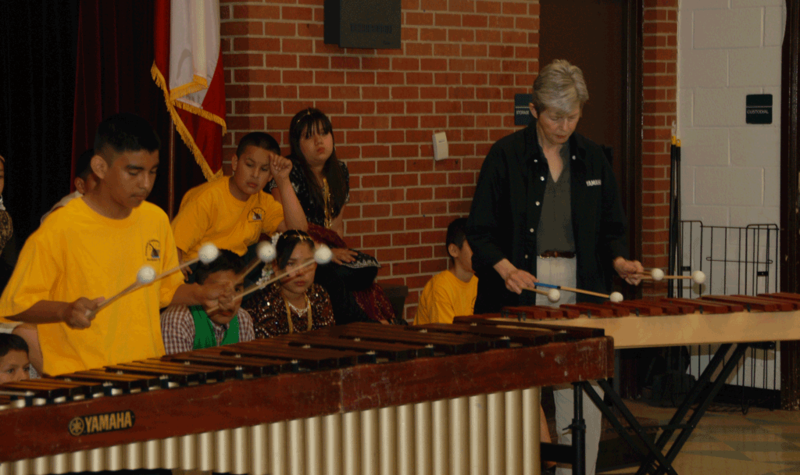 My teaching career began when I was in undergraduate school and I’ve taught everything from drum set in the music store setting to international marimba students preparing for competitions and helped prepare students for college auditions. I really enjoy clinics, masterclasses and residencies – no matter what the ages or levels of the students are. I love helping a student achieve his or her personal goals. 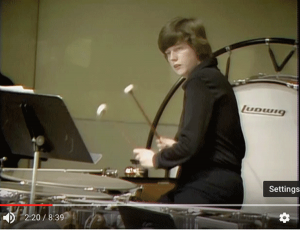 I also am very interested in how percussionists are taught, especially from the beginning, and have created and published teaching materials to help students become better musicians. After studying with Keiko Abe in 1985, I followed her career and attended many of her concerts. 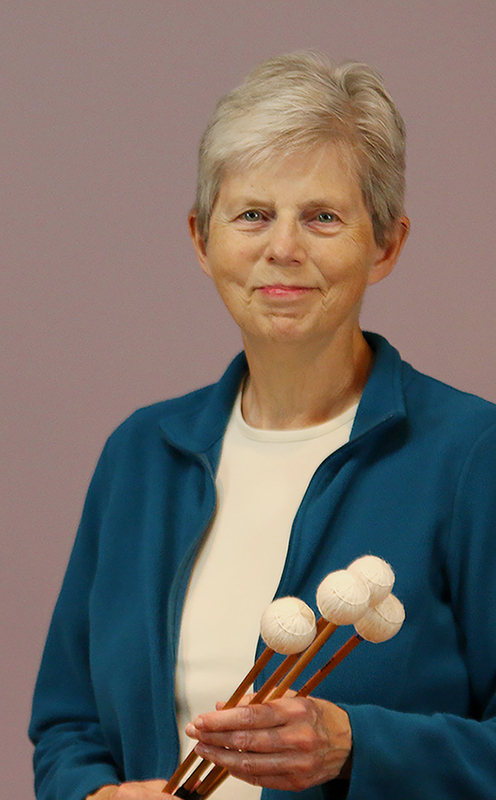 She is the most important historical figure we have in the marimba world – 27 years of professional performance in Japan before she began touring world-wide for another 40 years. Her work in developing the five octave concert marimba with Yamaha and in commissioning works by the top ranked composers in Japan for the marimba marks the beginning of the modern concert marimba and it’s repertoire. Inspired to document her work, I decided to research and write her biography. 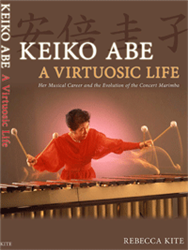 I traveled to Japan four times to conduct original research on her career and the history of the marimba and its music and created new, factual information in my book, Keiko Abe ~ A Virtuosic Life, which is now the standard resource on Keiko Abe’s career and the history of the marimba for students around the globe. The importance of my book has been recognized world-wide and it has been translated and published into Japanese (Yamaha Media Press) and Spanish (UNICACH University Press) and is distributed world-wide. I treasure the opportunities, friendships, and great musical experiences I have had because of the Percussive Arts Society. During the ten years that I was an active volunteer in the society, I served as a state chapter officer, on the WPN committee (1992-2001), on the Board of Directors (1994 to 1997), and as a contributing editor for timpani related articles in Percussive Notes. 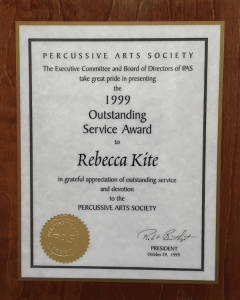 In 1997 I founded the Keyboard Committee and was chair for five years, bringing innovations to PASIC like the panel discussion format and facilitating the appearances of international marimba artists. In 1999 I was honored with the PAS Outstanding Service award for my work on the WPN committee.